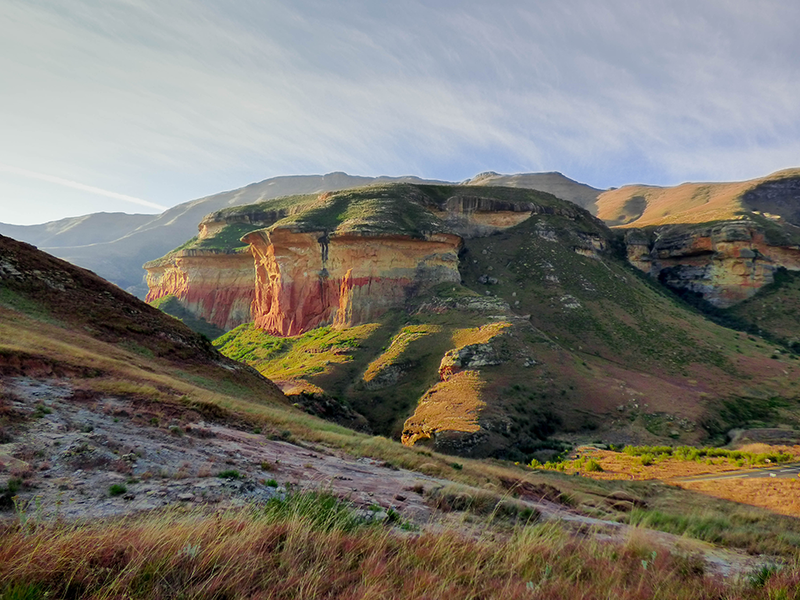 South Africa, an exotic destination that is becoming increasingly popular especially among European tourists. And with good reason! 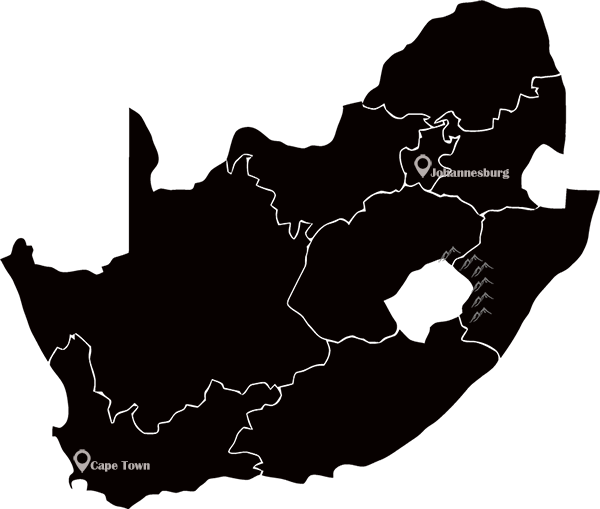 Stunning natural parks, Big 5 safaris , beautiful coasts and then there’s Cape Town with her impressive Table Mountain. 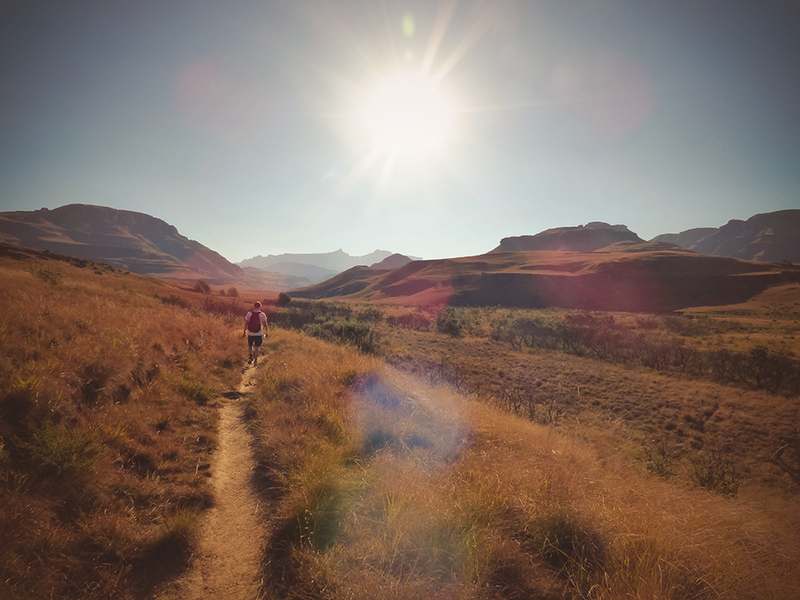 Yet there is an area that often gets overlooked during the hugely popular route which leads travelers from Johannesburg to Cape Town – the Drakensberg. 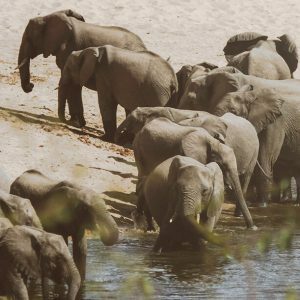 Many tourists often travel straight from Johannesburg to Kruger National Park and then continue their journey south through Swaziland in order to proceed their trip along the coast to the west and end their journey in Cape Town. 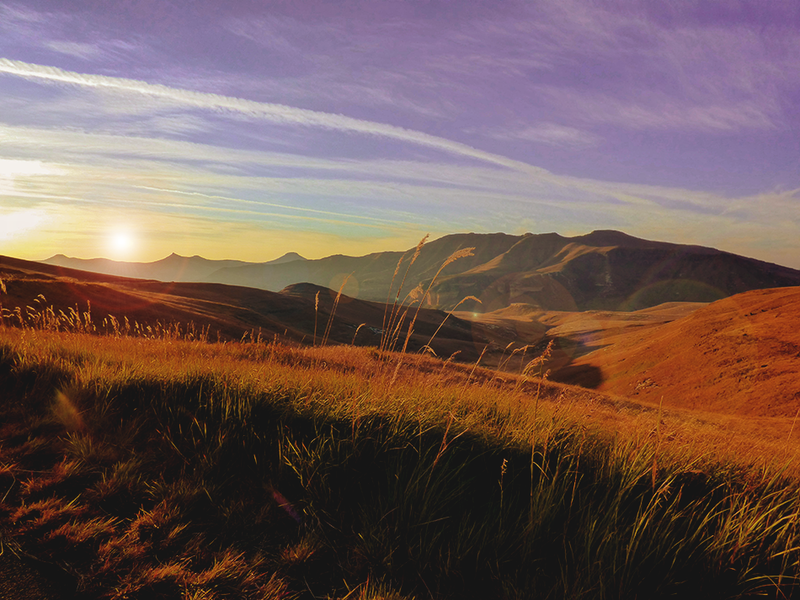 A short trip inland, however, brings you to an earthly paradise for hikers and nature lovers! 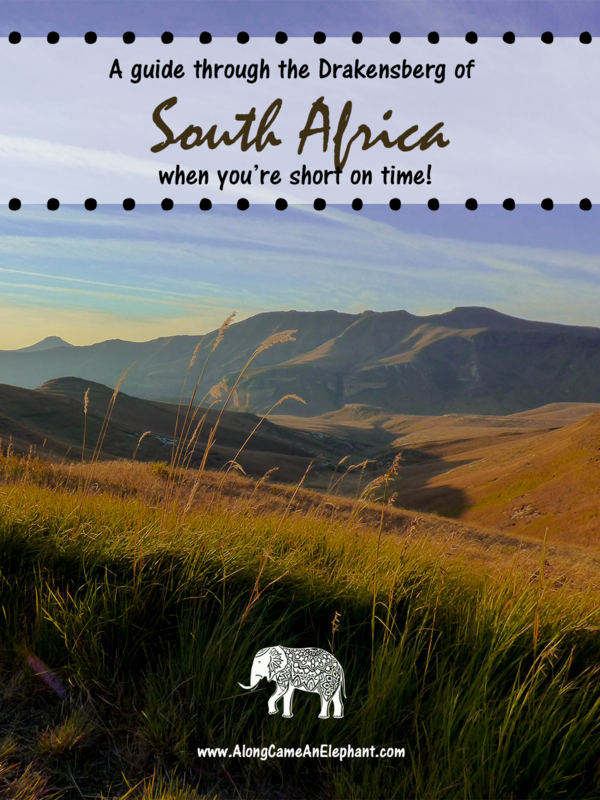 When Kristof and I started our road trip through South Africa, we knew we wanted to spend some time there. 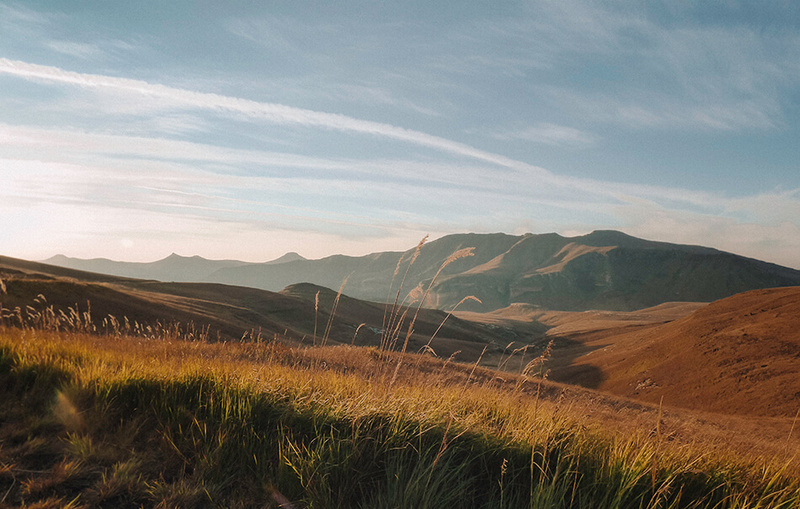 We’re both avid hikers, both enjoy places that fewer people know about, and both love nature… a perfect match! The park offers a few trails and two scenic roads, where we spotted our first game! In our opinion, the best hike in the park is by far the Wodehouse Trail. 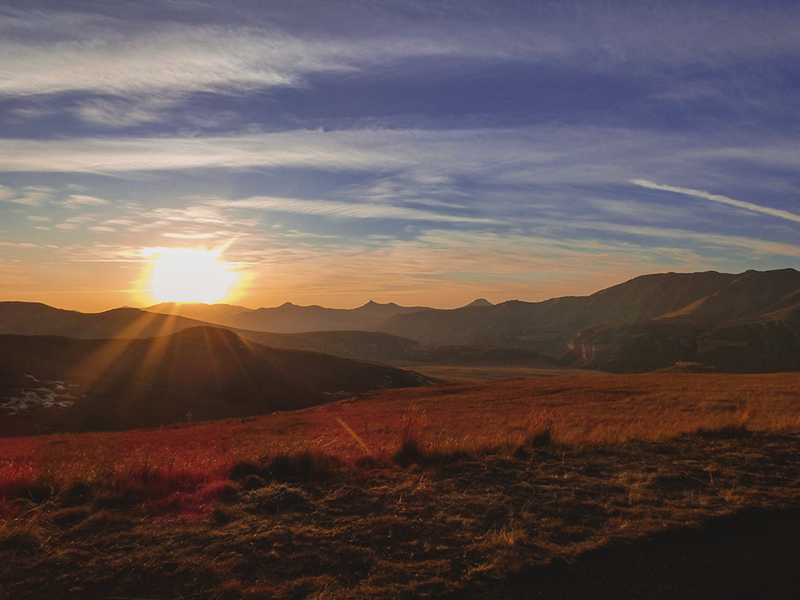 After the hike, be sure to head back down and drive one of the scenic loops to catch the sunset as it reflects on the rocks and grass below. This sight is how Golden Gate got its name, after all. 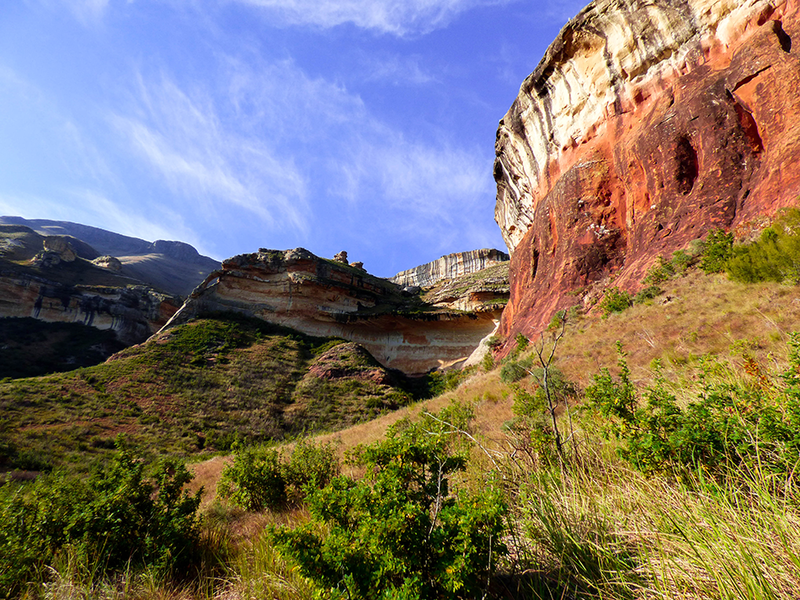 You can find the Golden Gate Highlands National Park about 320 km from Johannesburg. 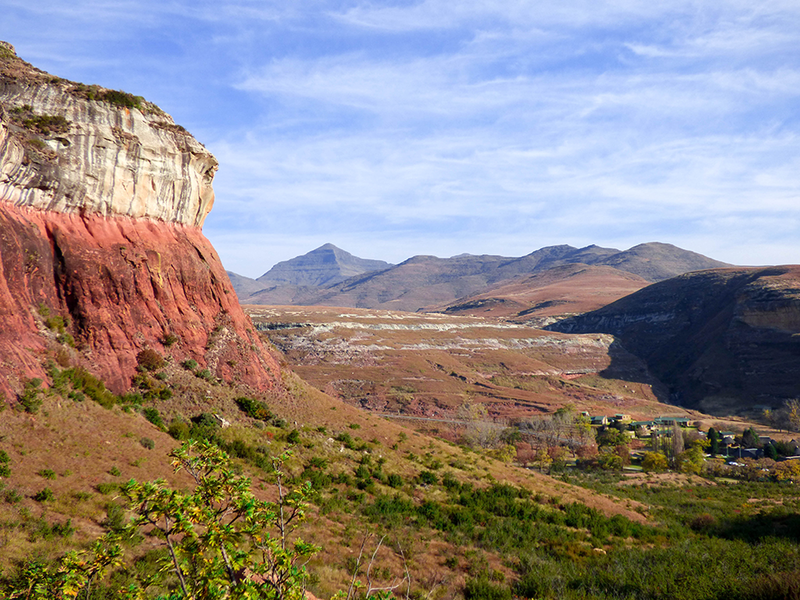 A perfect hub to visit this park is the quaint little town of Clarens. 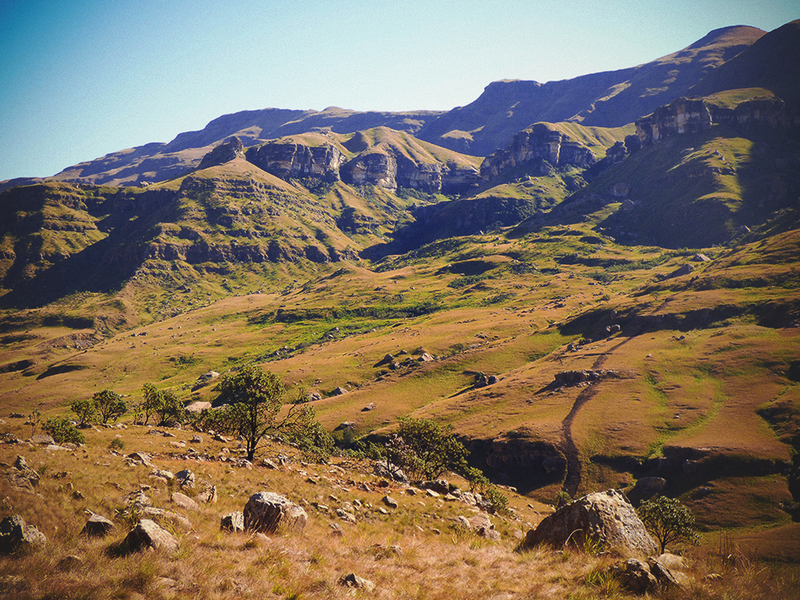 Next on our bucketlist was the Royal Natal National Park in the Drakensberg mountains – a UNESCO World Heritage site. We saw some gorgeous pictures of this park online when we were preparing for our trip and decided it had to be on our schedule! 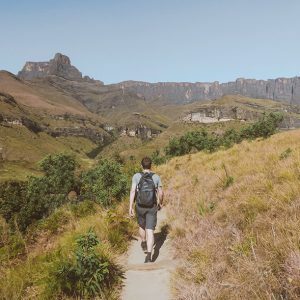 We planned hiking though the Tugela Gorge which had amazing views into the canyon and over the Tugela Falls, the apparent second tallest waterfall in the world which straddles the border of South Africa and Lesotho. I got super excited when we got our first glimpses of the table mountain that dominates the national park. This hike, is an easy one with a gentle gradient. Yeey, no steep hills! Moreover, about half of the hike is in the shade, which is really nice when you’re hiking in hot temperatures. The hike took us around 5 hours round trip from the car park including lunch break and photo stops. 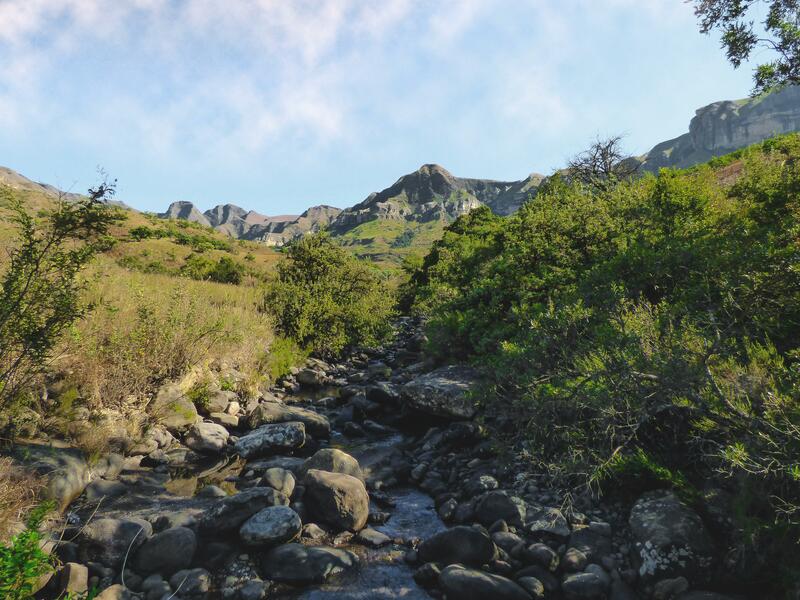 If your time is limited, like ours was, this is a really great way to see some seriously impressive natural beauty during a relatively easy hike. Another alternative would be to do the Amphitheater hike, which gets you on top of the table mountain. 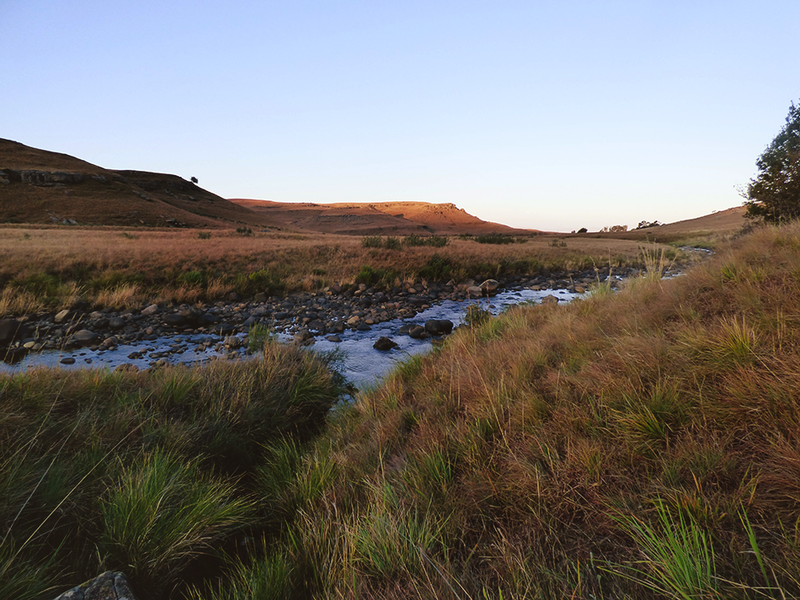 However, the start of the hike was outside of Royal Natal National Park and the road to the carpark was in a bad shape so we decided to skip it. Hopefully we’ll come back one day so we can admire the canyon from above! 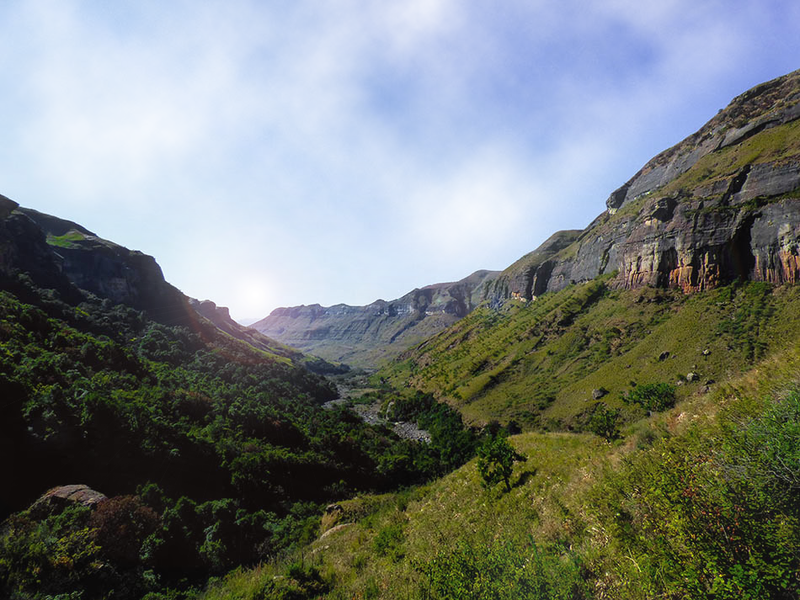 The third stop through the Drakensberg was in the southern part of Ukhahlamba-Drakensberg Park. 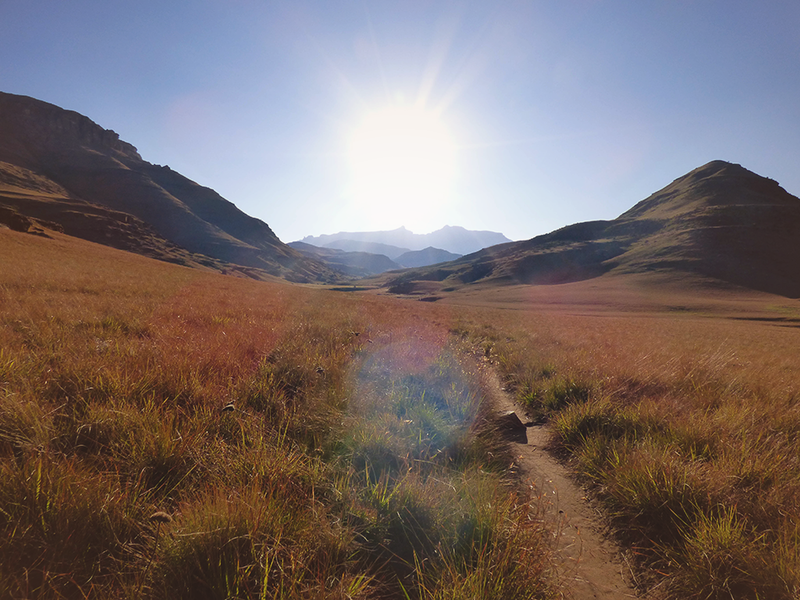 Underberg served as our hub for this final leg of our Drakensberg trip. The park offers stupendous, sweeping views up to the Giant’s Cup formation. 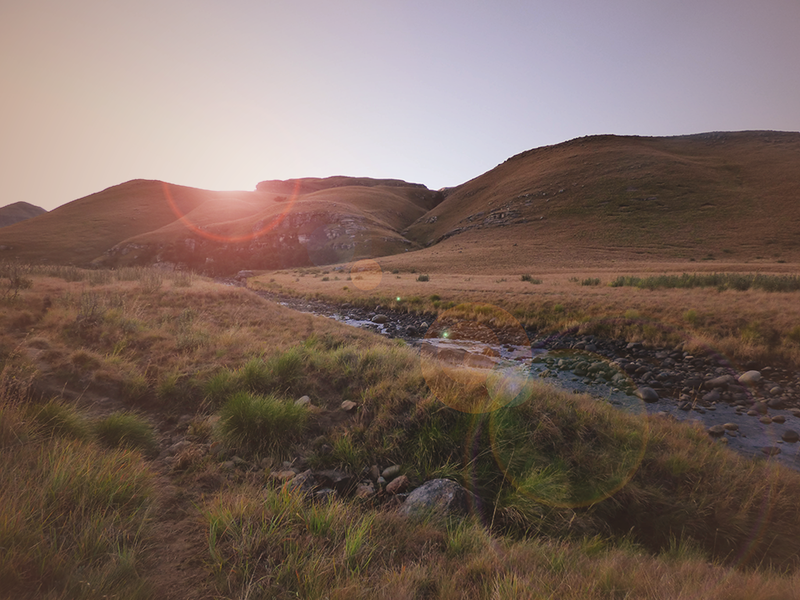 We chose to hike the Pholela River trail which offers spectacular views of the Giant’s Cup and passes through grassland and patches of indigenous forest. This easy to moderate trail follows the Pholea river and offers many opportunities to swim during the trail. 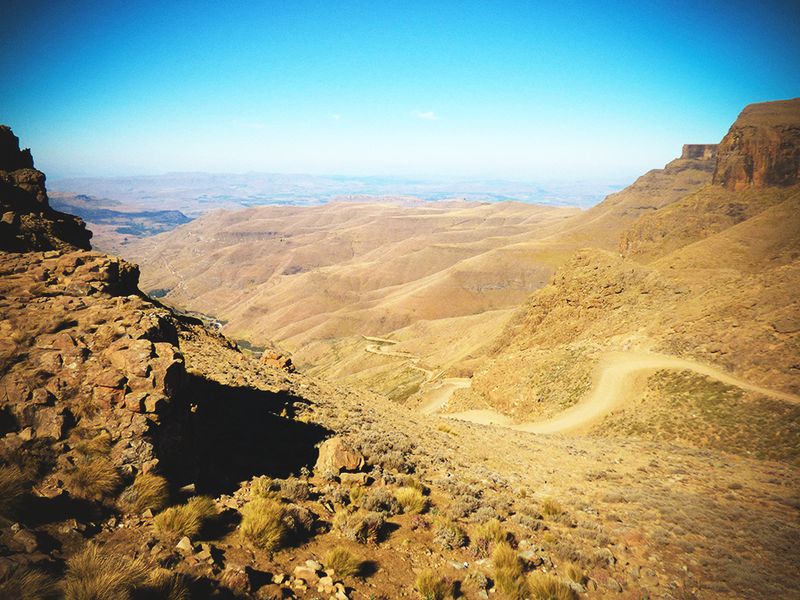 For some more adventure and a chance to visit another country we went for a drive over the Sani Pass into Lesotho. 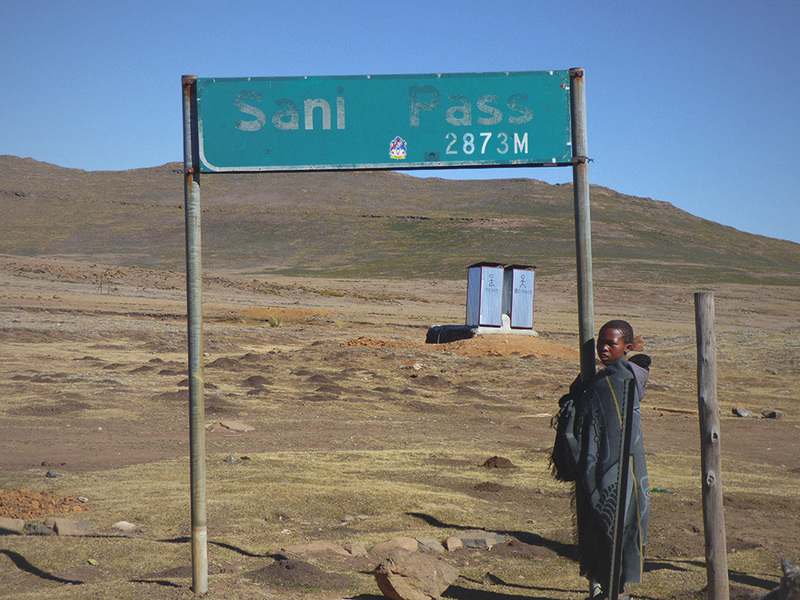 The Sani Pass is a winding dirt road that takes drivers up and over the Southern Drakensberg Mountains into the very small country of Lesotho. It can only be driven in a 4×4 vehicle. 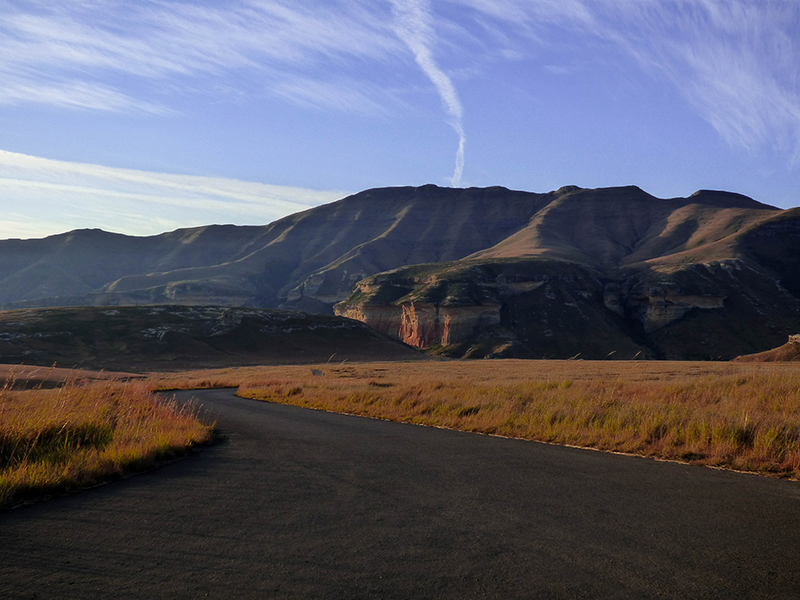 We rented a Toyota Corolla… that beauty would not have made it up the pass alive, so we opted for a tour that departed from Underberg. Make sure to get out of the car a couple of times to take in the wonderful scenery. 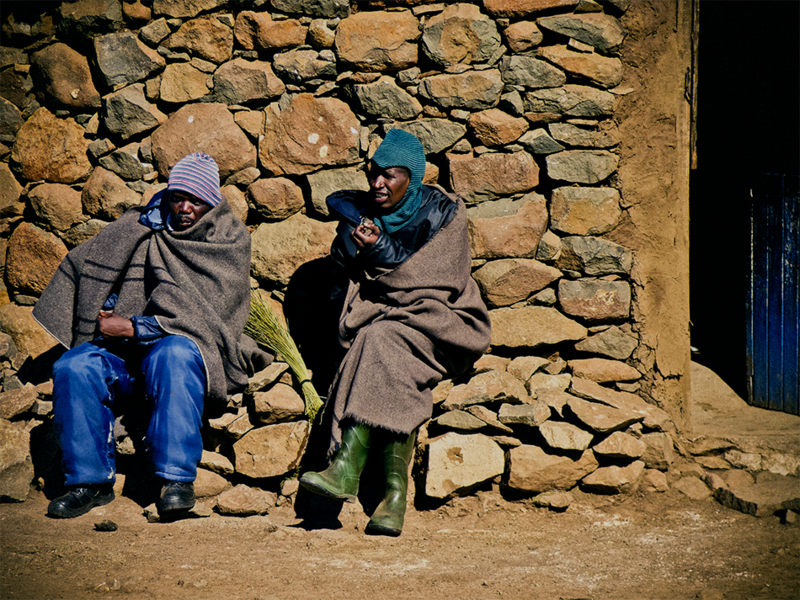 At the top, in the country of Lesotho, we had a drink in the highest pub on the African continent and drove around a bit to photograph some locals. 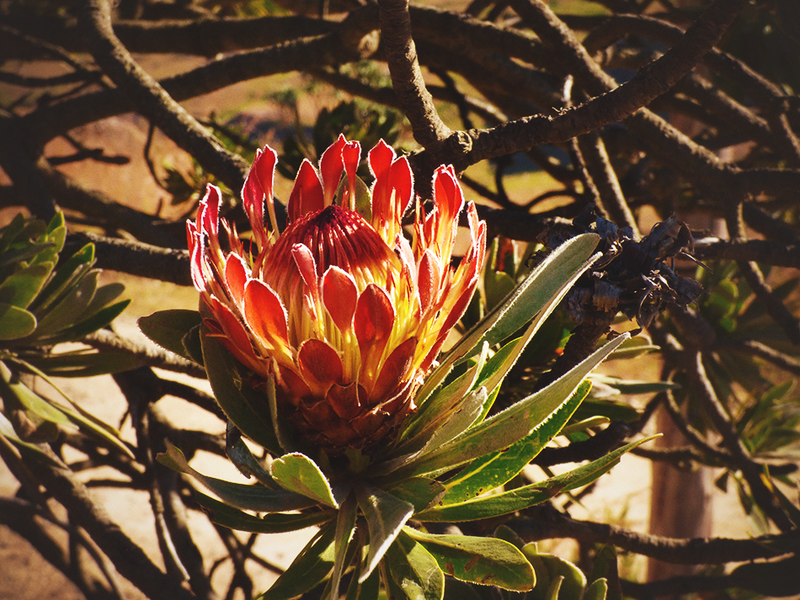 It was the cherry on top of a perfect trip to the Dragenberg mountains. 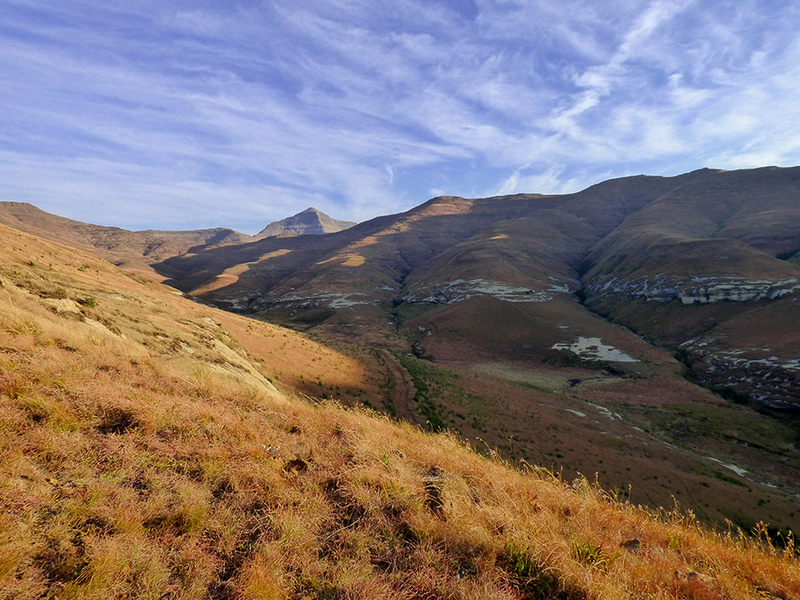 Have you been to the Drakenberg Mountains and how did you experience them? Wow! What an incredible landscape! Beautiful and unique. I feel like the landscapes here are rivaling the wildlife of Kruger. Thank you for sharing! Ah, thanks so much! So happy you love them too. 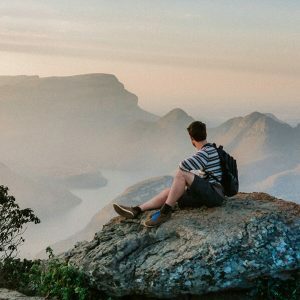 There are some amazing places to visit in South-Africa isn't there?! Thanks Lisa! 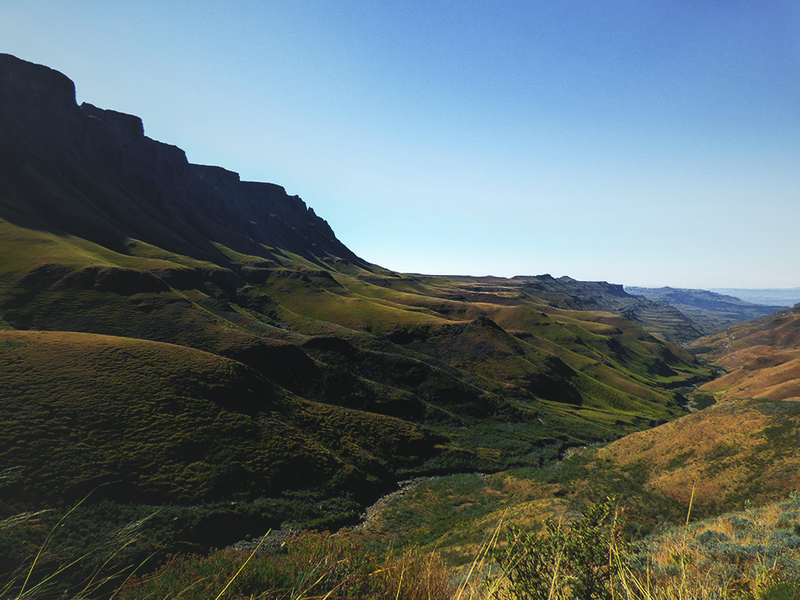 South-africa looks amazing doesn't it? So diverse! We're sure you'll fall in love with it! So i've nominated you for Liebster Award! oh wow thank you so much! Never thought to be getting an award so soon :-)!! Such a joy to hear that you enjoy our blog!